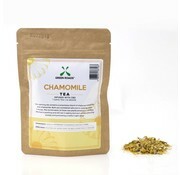 The subtly crisp passion fruit undertones of this tea combined with taste of real brewed Rooibos & Black Tea make for a uniquely luscious and refreshing tea experience. 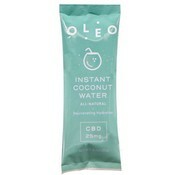 Single serving makes 12oz of delicious coconut water, and contains 25mg Oleo CBD. 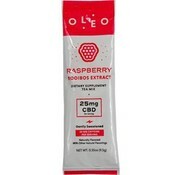 OLEO Raspberry Rooibos Tea Mix. 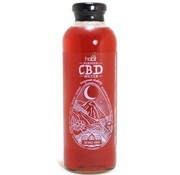 The delicious essence of raspberry brings a powerful vitality this elixir. 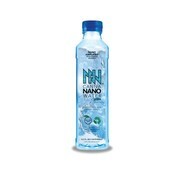 We contrast this with the potent flavors of blended rooibos and black tea. 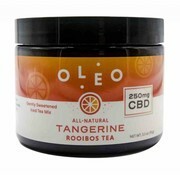 Made from real Rooibos & Black Tea. 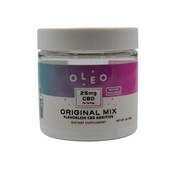 Each cup is bursting with the flavor of fresh tangerines, and infused with 25mg of Micro-Encapsulated CBD (OleoCBD). 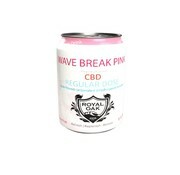 A flavorless CBD Powder additive that can easily be added to anything and rapidly dissolves in water. 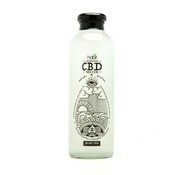 It’s made with a patent-pending Micro-Encapsulation process that makes the CBD more bio-accessible for your body.